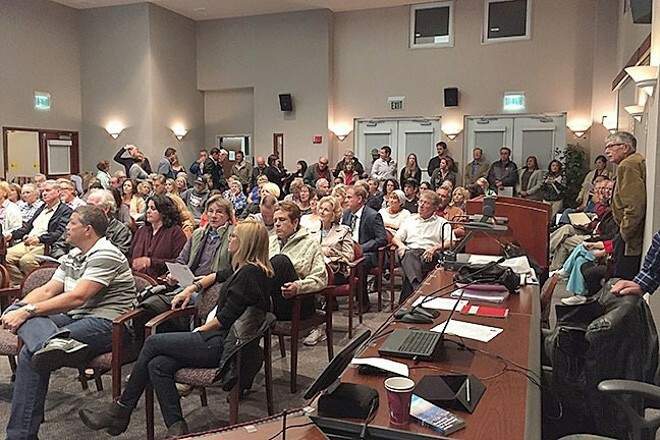 Community concerns sparked the Paso Robles City Council to adopt a short-term-rental urgency ordinance that goes into effect on Feb. 13. "Everybody thinks this is no problem; you live next door to a vacation rental like I do, that can sleep up to 11 people and can have 12 people during the day ... the problem of it is they simply don't belong in residential neighborhoods," resident Linda Colwell said during the Feb. 5 meeting. URGENT RULES The Paso Robles City Council passed an urgency ordinance to regulate Airbnb-style vacation rentals. Short-term rentals have been a topic of city discussions since 2015, when the city held workshops about potential rules (pictured). The city didn't have any specific provisions to regulate the short-term rentals, although it started the process of drafting an ordinance in 2015 but deferred taking any action. There are an estimated 300 short-term rentals in operation within city limits, according to a staff report. Short-term rental applicants will be required to notify the owners of all nearby properties about their intention to apply for a permit. Rental owners will have to provide a "good neighbor brochure" (noting the ratio of occupants to each room and a limit on parked cars) to all renters, who must comply with its requirements. The city will contract with a third-party hotline to notify rental owners about neighborhood complaints prior to involving the police department. A discussion about short-term rental and inspection fees is slated for the next meeting on Feb. 19. Non-refundable three-year permits could cost $550, and inspection fees could run $75, according to a staff report. The fee will be based on what it would cost the city to process applications, notify neighbors, and contract the hotline.